Portsmouth-The Salvation Army Reached ($87,638) Goal for 2018 Red Kettle Campaign. These are funds raised to provide for critical community programs throughout the year. 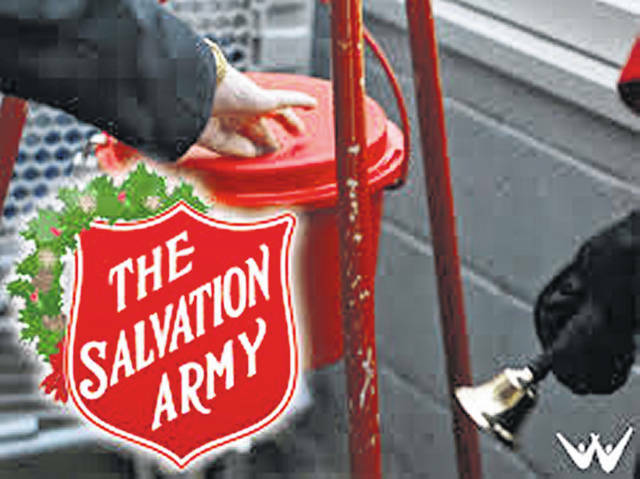 The Salvation Army of Scioto County has announced that its Red Kettle Campaign, annual Red Kettle seasonal campaign, which ran from November 16 to December 24, reached its goal of raising $96,740 dollars for neighbors in need. Operating locally for over 100 years, The Salvation Army has relied upon its iconic kettle campaign since the 1890s. Donations to the kettles allow The Salvation Army to provide life-changing social services and other programs throughout the year. In Scioto County, The Salvation Army provides an array of social services, including Emergency Assistance, Warming Shelter, Tuesday After-School Program, Emergency Disaster Services, Micro Pantry Food box and Christmas Assistance.